A recurring theme in this season of my life, the season of small children and endless keeping of the home, is the lamentation that my life was once more than doling out snacks and wiping snotty noses. I mean, my life wasn't particularly exciting before I had kids but it was a fun life... there is nothing quite like being young and single in New York City, earning a decent living that allows you to have fun when you want to have fun. I don't want to whine or sound ungrateful. My life is pretty damn good--it's just different. My kids are fun and funny; they have enough redeemable qualities to cancel out the whining and the crying and the general annoying things that all kids do. But I do miss the small things I used to take for granted-- leaving the house when I'm ready to go, buying only the things that I need or want, going out at night without having to call a babysitter, buying just one plane ticket. The Expats by Chris Pavone is a book about wife and mother with a heavy secret, and is full of thrills and adventure but the parts of the book that resonated most with me were Kate's own lamentations on motherhood. Her life, pre-kids and pre-marriage, was much more exciting than my own but the yearning for adventure, for personal fulfillment is the same. I used to apologize silently to the universe for feeling this way but I've stopped apologizing. I've always been a nostalgic person and this is no different. Nostalgia for the past doesn't mean unhappiness with the present. Every step of my life leading up to a transition has been preparation for what comes after the transition. If there is anything that having kids teaches you, it is that time flies. The older I get, the faster the time seems to go. I look at my parents and think it was really not so long ago that they were where I am now. I can look at their lives now, and see how some day, in the near future, my life won't be about doling out snacks and wiping snotty noses. But for now, I'm going to do my best to enjoy this season and take it all in stride. 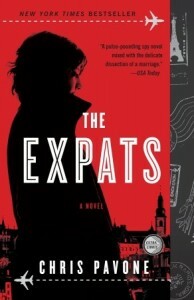 This post was inspired by mystery thriller The Expats by Chris Pavone. Kate Moore sheds her old life to become a stay-at-home mom when her husband takes a job in Europe. As she attempts to reinvent herself, she ends up chasing her evasive husband's secrets, and in turn, starts to reveal her own. Join From Left to Write on January 22 as we discuss The Expats. As a member, I received a copy of the book for review purposes. I love it! That's a great attitude. Too soon your kids will be off to college or marriage and taking care of their own children and then you will have "you" time again...at least until the grandbabies come along. Great the way you tied the book in! Thanks, Alicia! Thinking ahead to grandbabies... oy. I totally understand your feelings and affirm your need to express them. I also affirm your rationale---these years will go sooooooo fast. Some days I would go back to those days in a nano-second. Your son is a wise one. I love that thought, and that he was thinking about it! 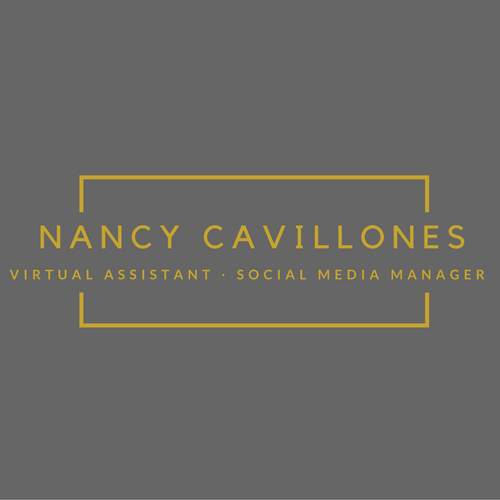 I'm Nancy. I live in the woods of Connecticut. I love my iPhone and I'm a total social media addict. I love getting free books and reviewing them. I also recently received a cochlear implant, and sometimes I blog about that. Mostly, I just come here and write whenever the mood strikes, or when I have a book to review!